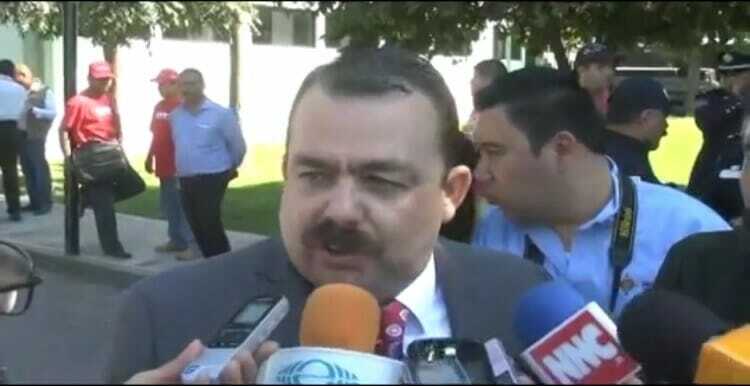 It is being reported that the Attorney General for the Mexican state of Nayarit, Edgar Veytia was arrested today in California on drug smuggling charges. The details are still coming to light, but a lot is already known . . .
An indictment unsealed in New York on Tuesday charges Edgar Veytia with conspiracy to smuggle cocaine, heroin and methamphetamine to the United States from January 2013 to last month. It provides no additional details on the allegations. Veytia is scheduled to appear in federal court in San Diego on Thursday to determine if he is eligible for bail. He returns April 11 for a hearing to determine if he will be sent to New York to face charges. Between Jan. 2013 and Feb. 2017 the amount of drugs that can be attributed to Veytia for manufacture and distribution is at least one kilogram of heroin, five kilograms of cocaine, 500 grams of methamphetamine and 1,000 kilograms of marijuana, according to documents from the United States District Court of Eastern New York. Veytia – known by some as “Diablo”, “Eepp”, and “Lic veytia” – will face charges beyond just drug smuggling; grand jury charges also include international conspiracy to illegally import, manufacture, and distribute a number of illicit substances. No statement has been made by Veytia’s attorney Guadalupe Valencia.